Mt Gox customers can now formally make a claim against the defunct exchange, with the potential to receive their payout in bitcoin. The process is being overseen by exchange Kraken, appointed to assist Mt Gox’s bankruptcy trustee Nobuaki Kobayashi last November. According to instructions posted on the Mt Gox homepage, account holders have until 29th May (Japan time) to fill out forms directly from the site, or open an account with Kraken and begin from there. The online claims process is available as the large majority of Mt Gox’s 100,000 creditors live outside Japan, enabling them to participate more easily in the bankruptcy process. Those who cannot supply a Mt Gox username or password will need to complete the process offline, mailing a printed form instead. With a Kraken account, users are able to request a payout in bitcoin. Those who do not have a Kraken account, or do not wish to open one, would have to receive any payout in fiat currency. It is still not 100% certain that distribution in bitcoin is possible, but the trustee says it is investigating. Kraken is also offering up to $1m in free trades to creditors claiming funds through its system. Ayako Miyaguchi, Kraken’s managing director for Japan, said there is still some misunderstanding as to whether claiming in fiat or bitcoin is preferable. The bitcoin value listed on the claims form is $483, which it specifies is taken from the CoinDesk Bitcoin Price Index at 23:59 on 23rd April 2014, Japan time. To complete the process, users will need to supply their personal information, Mt Gox account information including the amounts claimed, and bank details (to help verify that the account is genuine). Mt Gox customers have for some time been able to log into the exchange with their former username and password to see their exact bitcoin balances in fiat. At the third Mt Gox creditors’ meeting held in Tokyo today, it was announced that the company’s total remaining assets had been valued at 1.376bn JPY ($11.5m). This is roughly 60m JPY ($504,000) more than had been stated at the previous meeting. The difference was collected from “money deposited with other companies”, according to a statement, including 35.3m JPY from one “foreign payment service provider”. Total current bitcoin reserves are listed as 202,159 BTC. In another twist, the trustee claimed that Mt Gox still has loan receivables of over $136.17m against CEO Mark Karpeles. Karpeles has so far not presented a repayment plan, prompting the trustee to state he was considering taking “necessary legal action” to resolve the issue. In a statement, Kraken CEO Jesse Powell said his company’s philosophy is to put customers’ best interests first. Posting on Reddit, Powell cautioned that no one would likely receive the full value of their account balance at the time of Mt Gox’s collapse in February 2014. Anyone who read the most recent Wizsec report on the missing coins, he wrote, probably would not expect to receive any more than 20% back. 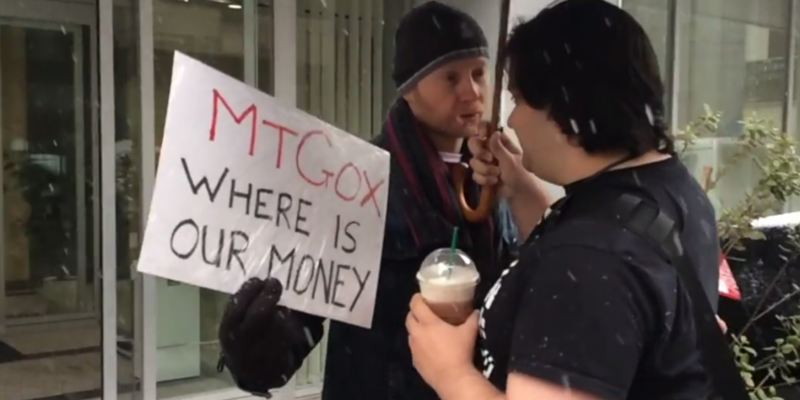 The report noted that Mt Gox had less than 100,000 BTC in its system after June 2013. The total amount creditors could claim would be known after two months of claims applications and another two for the bankruptcy trustee to evaluate the claims. The result would be known “sometime in September or October”.